The term combat knife refers to a fighting blade which has been specifically designed to impart maximum damage along with lethal injuries. Typically, a combat knife makes a good tactical knife but it can be used as a survival knife as well, depending on whatever situation one is surrounded with. The combat knife is perfectly built for a physical confrontation during close-body fights where there is a short distance between the attacking person and the defending one. 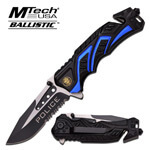 In this regards, the combat knife is much popular among-st the police and military officials as well where they keep it as a secondary weapon in order to ward off physical assaults. A combat knife makes a good self defense weapon; however, before you start looking for a good-quality combat knife online, let's have a look at the distinctive features of a combat knife which differentiate it from a regular EDC knife. You might have heard some people and knife dealers say that there is no difference between a regular knife and a combat knife; however, this assertion is completely wrong. The difference between a combat knife and a regular knife is as evident as the difference between a normal gun and a combat handgun. The differences might not be visible to the inexperienced eyes; nonetheless, the differences are still there. Prior to discussing the essential design of a good combat knife, you ought to know the purpose of the combat knife which is to serve as a fighting tool as well as a tool of personal defense. 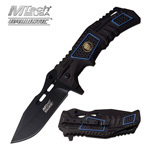 The established purpose of the combat knife will assist you in determining to what type of combat knife you are looking for with respect to the design of the combat knife. 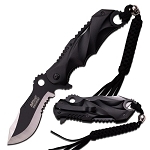 The combat knife ought to be of the right kind of size and blade material which will assist you in your purpose of getting the combat knife in first place. While choosing the best combat knife for your needs, you ought to look out for the perfect blend of quality, handiness, reliability, and durability of the knife capability. 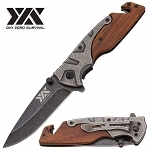 Today, many knife-manufacturing companies offer a wide variety of combat knives which comprise blades that are specifically designed to outlast extreme survival situations. Many people choose a combat knife as their tool to take with while exploring the wilderness due to the reliability and robust strength of the blade of the combat knife. Besides from being a survivalist, if you opt to buy a combat knife it definitely means that your life will depend on the capability of the knife since you will be relying on it for survival as well as your tool of defense. One important aspect with regards to the combat knife is that it is not meant to be beautiful; on the contrary, it is meant to surpass all other knives with regards to knife deployment, efficacy, reliability, and knife capability. 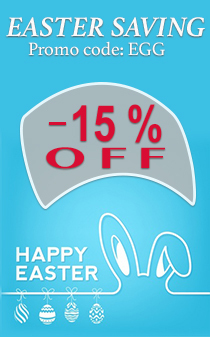 In this regard, refrain from choosing the knife which has beautiful and bright colors and looks aesthetically appealing. On the contrary, opt for a knife which feels comfortable and strong in your hand. Shiny blades are almost never a good choice when it comes to choosing the best combat knife. The majority of the combat knives are usually made of a material which is rather dark metal as such blade surfaces are discreet and much inconspicuous. The blade of the combat knife is one of the most significant parts of the knife. 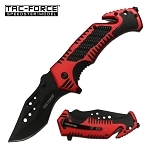 Due consideration needs to be given to the blade type while choosing the best combat knife. It is important to note that there is a variety of blade types to choose from, such as the tanto blade, the drop point blade, the spear point blade etc; therefore, it is important to clearly plan the purpose of the combat knife before you proceed to buy one. The various blade-types serve different purposes; your purpose will determine the blade-type which you require for your choice of a combat knife. Apart from this, you will also have to choose between a combat knife with a stainless steel blade and a combat knife with a carbon steel blade; nonetheless, you might also go for a combat knife with a hybrid blade type. The various blade materials have their respective disadvantages and advantages. For instance, the blades made of stainless steel exhibit high resistance to the build-up of rust and corrosion. Nonetheless, some of the stainless steel blades tend to get dull along with their hard use. If you are looking for a combat knife which possesses a greater level of edge retention, blade toughness, and resistance to the build-up of rust and corrosion, you ought to get a combat knife with a "CPM S35VN steel blade". The combat knife with a "CPM S35VN steel blade" will maintain a greater edge retention balance which will further ensure a smoother long-lasting knife deployment. All you ought to do is maintain the combat knife with cleaning it regularly after each use along with occasional honing of the knife blade. In contrast to the combat knife made of the stainless steel blade, the carbon steel blade combat knife possesses a greater edge; however, it also tends to corrode at a faster pace and get subsequently dull. In this regard, the carbon steel blade requires to be cared for properly in order to maintain the blade capability of the combat knife. Therefore, if you want to make the best out of your money and time by not spending hours on cleaning and maintain the blade of your combat knife, it is recommended to get a combat knife with a stainless steel blade. 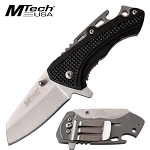 However, if you are looking for good and durable hunting or survival knife instead of a combat knife, you ought to get a carbon steel blade which is relatively easier to sharpen as compared to the stainless steel blade. In case you don't know how to sharpen the blade of your combat knife with a whetstone or a sharpening hone, you can always seek professional help. Many people pay much attention to the blade of the combat knife along with the blade material of the combat knife; they tend to ignore the handle of the combat knife which plays an important role in the selection of the best combat knife. Firstly, the handle of the combat knife ought to feel good and comfortable in your hands since you will be the one who will be maneuvering the combat knife. Wielding the combat knife will be useless if you won't get a comfortable and confident feel out of holding the combat knife. The handle of the combat knife must be non-slippery in order to avoid accidental injuries to your hands since the knife ought to be wielded effectively in any type of weather or even underwater. The handle grip must provide your hand with a secure and sturdy grip. 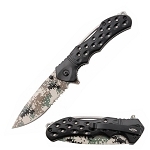 In addition, the handle of the combat knife must comprise a solid and reliable material apart from being non-slippery. Trust me; there is nothing worse than a combat knife slipping out of your hand during a knife fight which will definitely lend the opponent an upper hand while proving fatal for you. It is highly recommended to get a combat knife which has a full-tang handle as the full-tang knives are the strongest and the sturdiest knives around the globe. If you are looking for the utmost grip on the knife handle, it is recommended to get a combat knife which handle comprises G10 or the material of "Micarta". These materials are known to exhibit excellent grip as they tend to get wet. The best thing about this handle material is that it can be cleaned easily; hence, there is no fear of having the combat knife contaminated. Lastly, choosing the best combat knife is purely a matter of personal choice. However, one ought to determine his/her purpose for getting a combat knife which will further help in determining the design, length, and size of the combat knife. Apart from getting the best combat knife, it is also important to undergo sufficient training before taking the combat knife out onto the streets. Not to mention the fact that one ought to check in with the local laws with regards to the legality of the combat knife prior to purchasing it.